If you live at 682 Bushwick Avenue, chances are you would never go hungry. The rental building, which sits at the corner of Bushwick and Willoughby Avenues, is near local bars like Happyfun Hideaway and Birdy’s, Mexican eatery Regalo De Juquila and artsy cafe Little Skips. A lottery launched this week at the building for five units set aside for New Yorkers earning 60 percent of the area median income. Available apartments include two $926/month one-bedrooms and three $1,042/month two-bedrooms. In addition to all that grub, the rental sits between the J and M trains at Myrtle Avenue and Central Avenue, as well as some Brooklyn-bound buses. The building includes on-site laundry and a rooftop space. 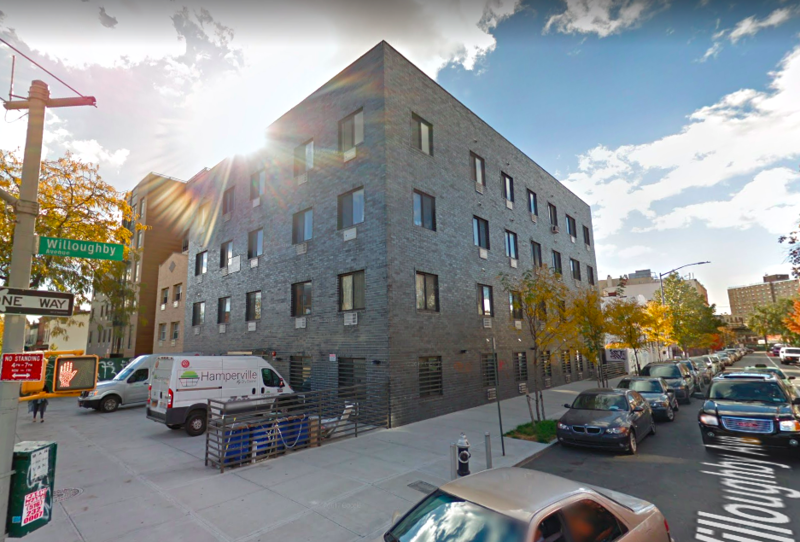 Qualifying New Yorkers can apply for the affordable units at 682 Bushwick Avenue until August 17, 2018. Complete details on how to apply are available here (pdf). Fifty percent of units are set aside for residents of Brooklyn Community Board 4. Questions regarding this offer must be referred to NYC’s Housing Connect department by dialing 311.